For a humid country like Malaysia, mosquitoes can be found almost everywhere. They are one of the most dangerous living creatures on earth due to the deadly diseases they transmit such as Zika Virus or Dengue. While wearing ointments are usually sufficient, a mosquito net will provide further protection with its more significant cover ground. 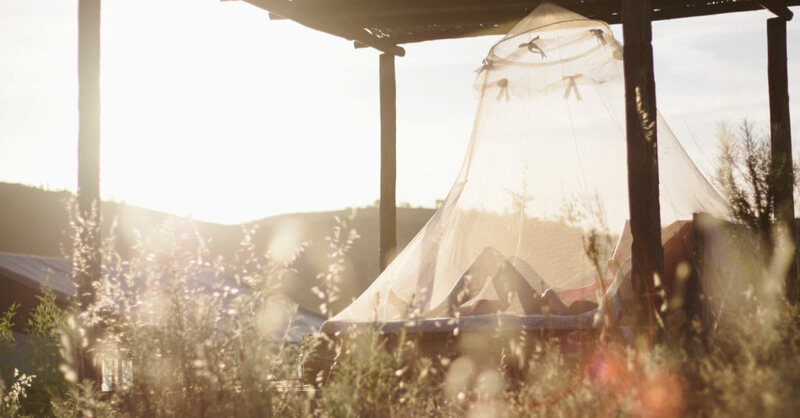 Whether it's for camping or for your home, you can find the right net from our list below. In our tropical country, the forests are no strangers to swamps of bugs, and this includes mosquitoes. For those who are looking to fend off mosquitoes while asleep outdoors, they can consider this portable hammock which comes with a mosquito net. Made of lightweight, strong and durable fabric materials used in parachutes, the hammock is quick drying and capable of supporting weight capacity up to 120kg. It’s easy to install as well; just bind and secure the strings at each end of the hammock to a sturdy tree or pole to avoid falling. You no longer need to spend on installation services for mosquito nets for your home. With this DIY mosquito net, all you need to do is measure the size of the area and choose your preferred size. This mosquito net comes with a magnet frame where you can stick onto your grill. You can pick from either traditional metal frames or aluminium wood frames. As the 3rd generation of its kind, it is much more efficient, thicker and has stronger structure compared to previous generations. No metal frame on your windows? You can also use double sided tape to stick it onto your window frame. While we are capable of kill mosquitoes, that’s not the case for your little toddler. When heading outdoors with your little one, a mosquito net fit over a stroller should do the trick. You can consider this great quality, universal sized net to cover any baby throne strollers. With this, defend your baby from annoying mosquitoes while you enjoy a fuss-free day together. While you see it as an elegant decoration for your bedroom, this lace canopy doubles as a mosquito net. The net is made up of 100% polyester and comes at a dimension of 180cm x 200cm x 200cm. Install the net up to a 6ft sized king bed with complimentary plastic hooks, stands and frames. The worst thing about mosquito bites is that they can happen anytime, even while you’re asleep. Rest easy as you hang this mosquito net over your bed. At a length of 250cm in height, the bottom of the net expands for beds and baby cots sizing up to 1.5m. The net is made of polyester fabric with a wire ring that spans at 60cm in diameter. There are also multiple colours of the net to choose from and suit your fancy. Velcro is commonly used to stick or fasten items together temporarily or permanently due to their durability and reusable nature. If you find yourself wanting an easily removable net for your doors and windows, this net will do. The net provides homeowners with the convenience of letting airflow into the house while stopping insects from entering. With a total size of 150cm x 130cm, you can also cut it to fit smaller areas. Having a zip on a mosquito net makes it much easier to access and utilise without needing to lift the net up constantly. This mosquito net is suitable for baby strollers, cradles and even single beds. Its large size ensures the user is well protected from pesky mosquitoes while having enough space to manoeuvre around. Why be a mean girl, when you can be a meme girl?